So at the preliminary design review we identified a couple of area to see if we can make less tempting for little hands or paws. What do you think? 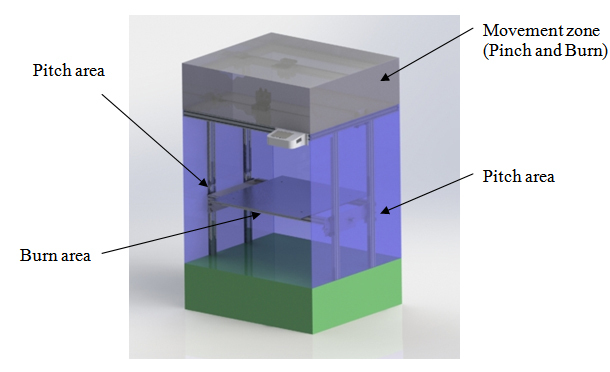 Do you have a cat that attacks your 3D printer? Let us know, email patrick@re3d.org. Because of it’s large print volume the Gigabot 2.0 does not fit through many interior residential doors. 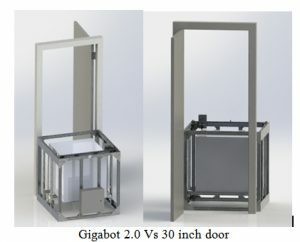 While there is some work arounds for this in a pitch, OpenGB is an opportunity to try to balancing shrinking one dimension of the Gigabot to less than 30 inches while trying to maintain the large build size. How big are your doors? Email and let us know, (patrick@re3d.org) My interior doors are around 30″, and searching Home Depot and Lowes doors seem to be 30″, 32″, and 34″. 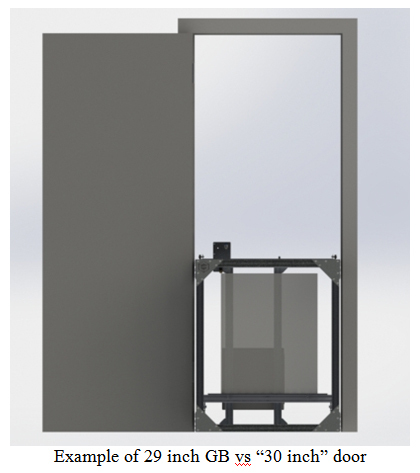 But there doesn’t seem to be a standard (for internal doors).